I'm very pleased with the quality, and the absolute beauty of each piece. I loved the look so much I took a picture before I even hung them. 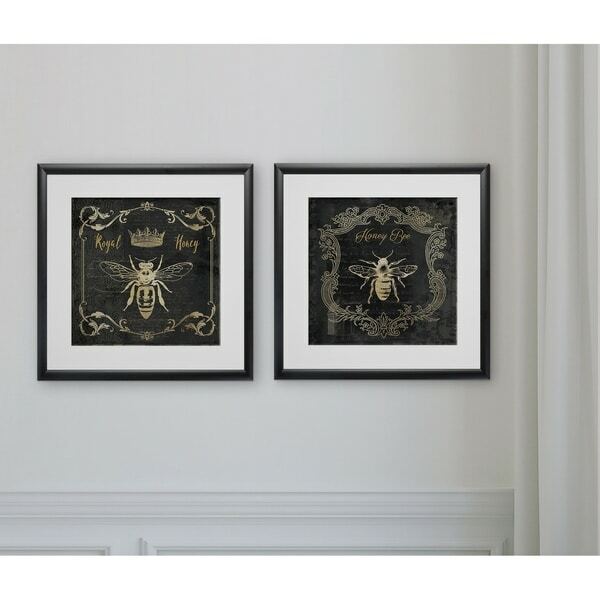 Royal Honey Bee I -2 Piece Set 2 Custom Framed Prints. 100% and created to last. Individually printed and framed by hand to very high standards. Printed and inspected one at a time utilizing the latest archival UltraChrome Giclee inks Consisting of 2 Total Framed Pieces Each measuring 16''x16'' x .75'' deep Each Piece is Individually Framed Acrylic Glass Each piece includes hanging accessories and is ready to hang. You need only to apply an anchor to the wall of your choice. Hung these in my bathroom. 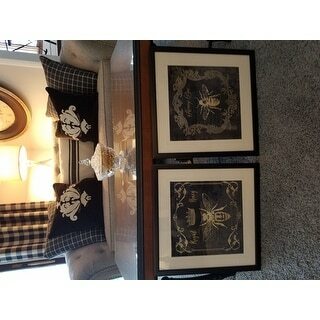 I adore bees and these were the perfect fit for my style. Beautifully framed, and arrived perfectly. Fast shipment.